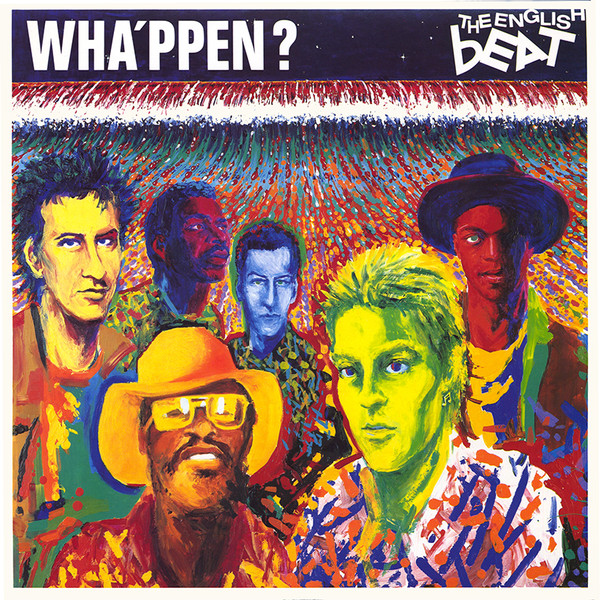 This was The Beat's second album, following on from the frantic ska rhythms of their stunning, lively debut, "I Just Can't Stop It". If anything, for me, this was the better album. It was more subtle and showed a real development in the band's songwriting. There were some really impressive, often very acutely socially aware songs on here. They were not all simple good-time ska skankers. The pace is far slower than the hundred miles an hour of the debut album, concentrating more on dub rhythms, with influences from South African township music, roots reggae and also from soul. Personally, I feel this was the group's finest achievement. It is an excellent album. My own personal memories are of playing it endlessly upon release while in bed with tonsilitis. The beautifully bassy, atmospheric opener, "Doors To Your Heart" is a melodious, saxophone and semi-dub reggae addictive slow burner of a song, and "All Out To Get You" was an insistent, singalong single. It had a completely irresistible rhythm. The drum/bass/guitar/saxophone interplay is superb throughout the whole album. This band could play, make no mistake about that. 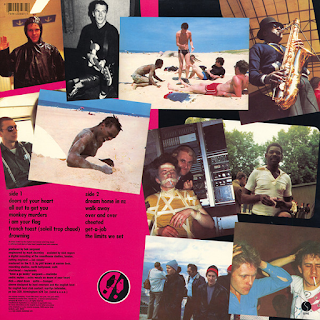 "Monkey Murders" saw the band explore roots reggae with some dubby bass and a wonderful, almost South African township-sounding saxophone, while the Talking Heads-esque "I Am Your Flag" was a wry, upbeat political rocker, criticising overt nationalism. "French Toast (Soleil Trop Chaud)" was, as its title suggests, a journey into vocal "toasting" (semi-spoken lyrics over a dub beat). It is another one with South African influence. "Drowning" is beautifully laid-back in its bassy rhythm and also cynical in its message, as indeed is the sombre, brooding "Dream Home In New Zealand", with its dubby hints in its backing. The ubiquitous saxophone from veteran saxophonist, "Saxa", is just so damn good. Slightly different is the simply gorgeous ska ballad "Walk Away" which features more sumptuous saxophone. "Over And Over", with its upbeat, jazzy backing and impressive brass; the bleak and wonderfully bassy and dubby "Cheated"; the frenetic protest of "Get A Job" and the dryly observational "The Limits We Set" all continue the quality songwriting and infectious melodies that this album overflowed with. The non-album single "Too Nice To Talk To" was once again incredibly catchy and a worthy hit from a most worthy band. Highly recommended. The best of 1981.